Download today. Simply fill out the form and we will email the eBook to you. Cosmetic jaw surgery is performed by Dr. Chan, an oral and maxillofacial surgeon in Singapore, usually in collaboration with your orthodontist. 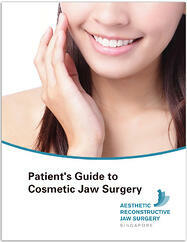 Cosmetic jaw surgery can correct irregularities that orthodontic care alone can not address. This eBook will help you better understand the options available to you, including corrective surgery. Fill out the simple form and download your eBook now.